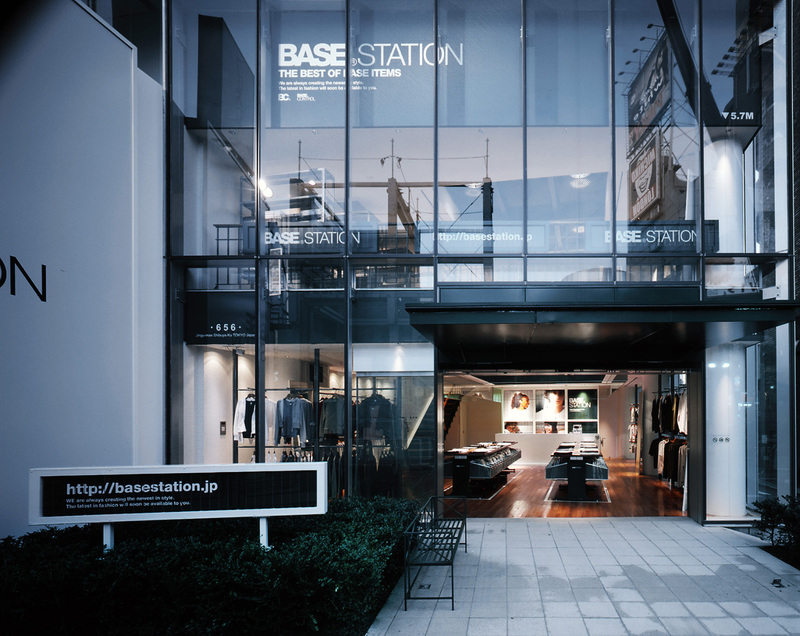 BASE STATION is a brand of casual wear with its store facing Tokyo's Meiji-Dori Street, a major thoroughfare and shopping destination in the Harajuku district. 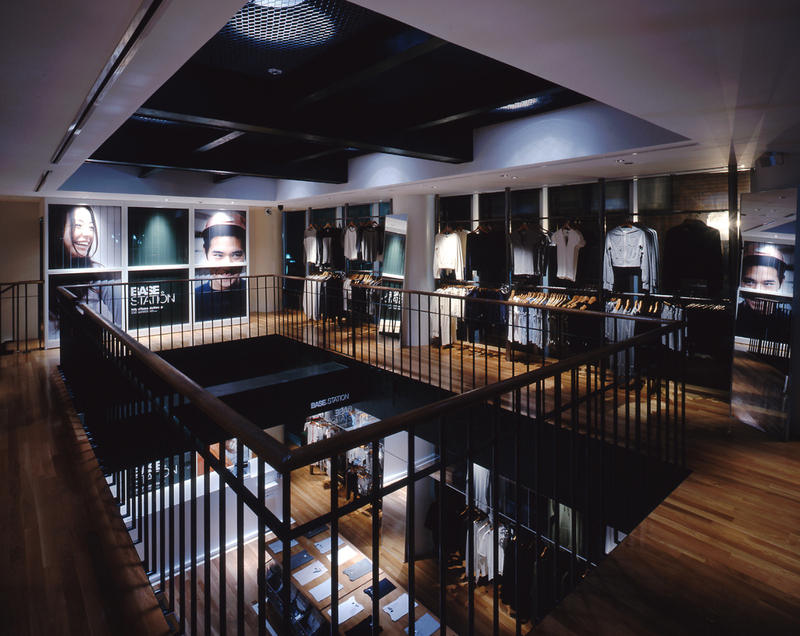 The 2-story shop has a large opening in the center of the 2nd floor offering an expansive view down to the floor below. 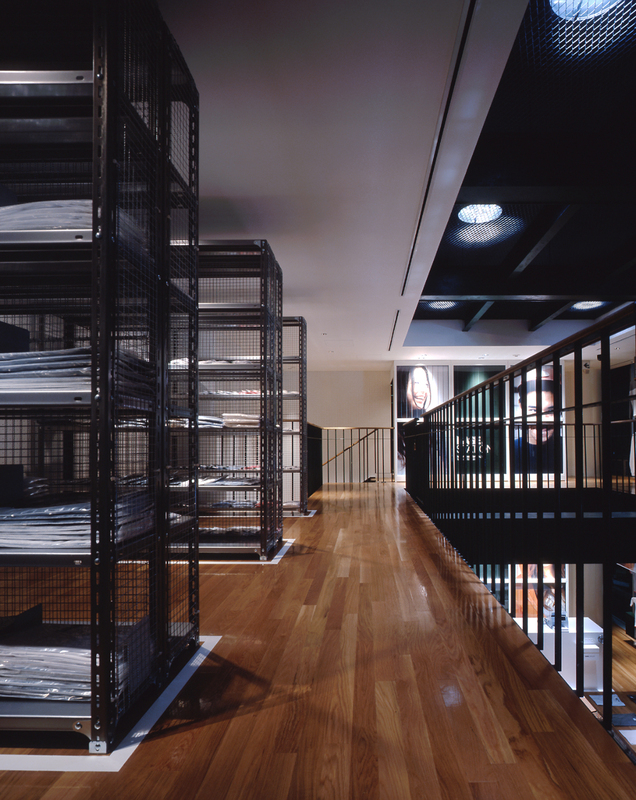 The sense of openness in the space derives from the interior concept of a "gymnasium". 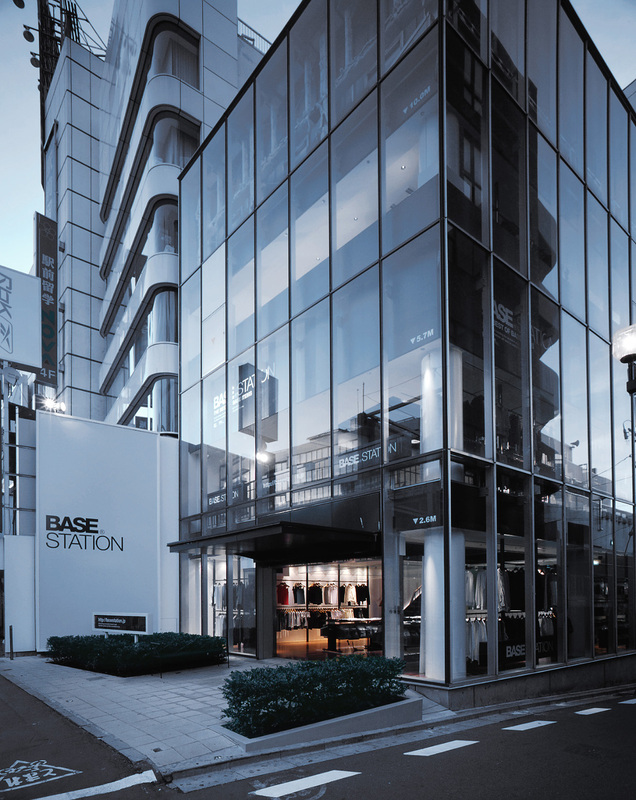 The concept reflects the values of the brand's target audience, the styles popular in this area of Tokyo and the styles of materials used to execute the interior (e.g., the overall linear interior design, linear motif on the floor, storage racks, railings). Jamo experimented with combining elements from street culture to be eye-catching to passersby. 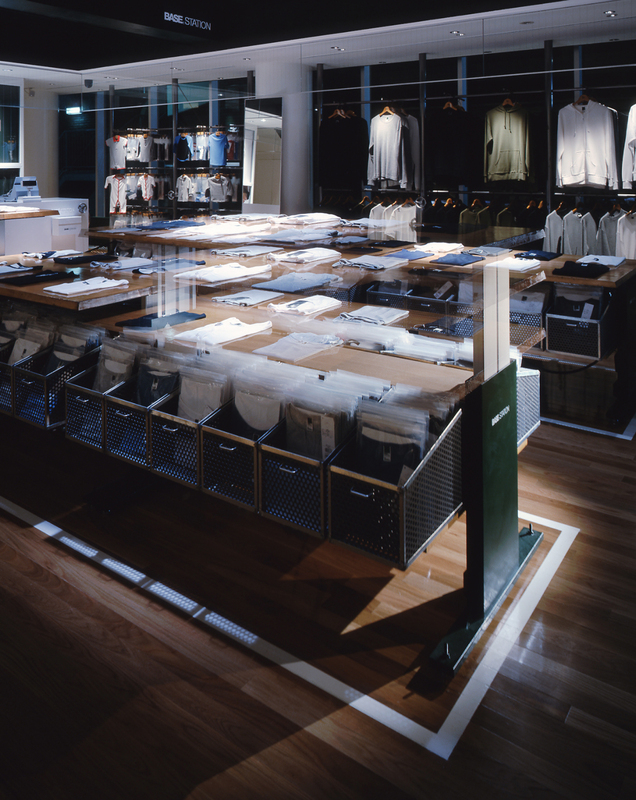 These include T-shirt display fixtures designed using elements from fixtures in record shops. 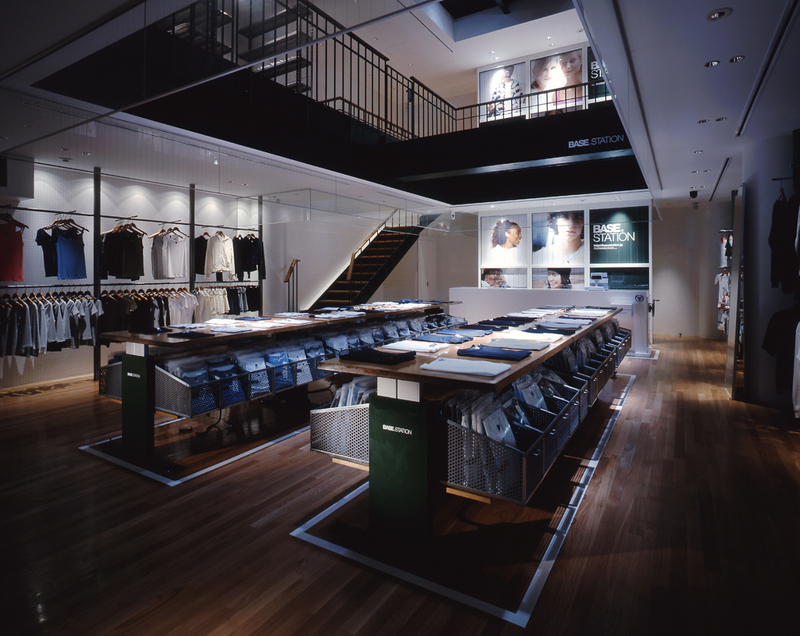 Jamo also experimented with rotating billboards by bringing these essentially exterior elements inside the store to create dynamic visuals and draw customers in from the street.